Peter joined Watsi on December 4th, 2014. 53 other people also joined Watsi on that day! Peter's most recent donation traveled 8,600 miles to support Aye Chan, a girl from Thailand, to fund fracture repair surgery. Peter has funded healthcare for 52 patients in 11 countries. Aye Chan is a five-year-old preschool girl from Thailand. She lives with her family in a village in Mae Sot Township. In October, Aye Chan slipped and fell, breaking her right forearm. Currently, she cannot sleep at night, and she is on painkillers to manage the pain. She cannot lift her left arm. With the help of our medical partner, Burma Children Medical Fund, Aye Chan will undergo surgery to reset her fractured bones and ensure proper healing. The procedure is scheduled for November 1 and will cost $1,500. The treatment will help her to use her left hand again. She will be able to go to school, allowing her mother, who is currently caring for her, to return to work. Her mother says, "I'm looking forward to seeing her recover...I would like to thank your organization for helping my daughter. I will never forget what you have done for my daughter. When she recovers, I will continue to send her to school no matter how difficult it is." Rebcca is a girl from Ethiopia. She lives with her mother and two younger twin siblings. Unfortunately, her father passed away from cancer eight months ago. Her mother teaches in a private school and is having difficulty supporting the family. Rebcca has been experiencing chronic abdominal pain and discomfort. A CT scan showed she has a Wilms tumor, a type of cancer that starts in the kidneys. Rebcca has already undergone surgery, and the tumor resection was successful. She will also need chemotherapy. Now, Rebcca needs to undergo another surgery, an abdominal resection, to treat her condition. Surgery is scheduled for August 28 and will cost $1,500. Rebcca's mother says, "We moved from the city to countryside. Now I am a teacher and I am raising my children on my monthly salary alone. We are financially struggling." 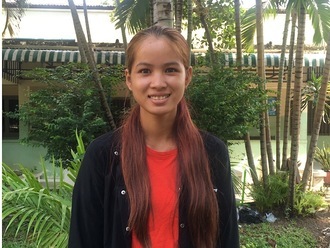 Rathanak is a factory worker from Cambodia. She has four older sisters. She likes to listen to music in her free time. One year ago, Rathanak was a motor vehicle accident that caused a fracture in her left leg. She went to a clinic and doctors fixated hardware to heal her fracture. Now, the hardware is causing pain when she walks. Fortunately, surgeons at our medical partner, Children's Surgical Centre, can help. On May 3, Rathanak will undergo a hardware removal procedure, which will cost $214. This procedure will help her walk easily again. She says, "I hope I feel better after the operation and can walk without pain." Nyo is a 16-year-old student from Burma. Her parents are farmers. Two of Nyo's older sisters work in Bangkok, and they send money to help pay for Nyo's school fees. Nyo was diagnosed with a heart condition that involves a malformation of the mitral valve, the valve between the left atrium and left ventricle. This valve controls the flow of blood, but certain conditions may cause blood to flow backward or the valve to narrow. Nyo experiences chest pain, difficulty breathing, fatigue, and discoloration of her lips. Her symptoms have caused her to miss school, and to frequently be late. Our medical partner, Burma Children Medical Fund, is requesting $1,500 to fund a mitral valve replacement for Nyo. The treatment is scheduled to take place on April 2 and, once completed, will hopefully allow her to live more comfortably. "I would like to become a doctor someday, and help low-income patients in need," said Nyo. Jean Fritz is a student from Haiti. He lives in Gonaives, a city on the west coast of Haiti, where he is studying law. He enjoys computer programming as a hobby. Jean Fritz has a cardiac condition called rheumatic mitral regurgitation. One of the four valves of his heart does not function properly because it was severely damaged by a rheumatic fever he suffered as a teenager. As a result, his heart cannot adequately circulate blood through his body, and he is weak and in heart failure. Jean Fritz will fly to the United States to receive treatment. On March 26, he will undergo cardiac surgery, during which surgeons will repair his mitral valve so that it opens and closes more normally. Another organization, The Heart Hospital Baylor Plano, is contributing $60,000 to pay for surgery. Jean Fritz's family also needs help to fund the costs of surgery prep. The $1,500 bill covers labs, medicines, and checkup and followup appointments. It also supports passport obtainment and the social workers from our medical partner, Haiti Cardiac Alliance, who will accompany Jean Fritz's family overseas. He says, "I have been hoping for the chance for surgery for many years, and am very happy that I will soon have a repaired heart!" Sebastien is a toddler from Haiti. he lives in a neighborhood of Port-au-Prince with his parents and younger sister. His father works in construction, and his mother stays home to care for the children. Sebastien has a cardiac condition called pulmonary atresia, or a rudimentary pulmonary valve. One of the four valves in Sebastien's heart is malformed and does not open and close properly. As a young baby, he traveled to have the valve stretched open with a balloon. While this improved the function of his heart, the artery needs to be more completely reconstructed in order for him to be able to live a normal life. 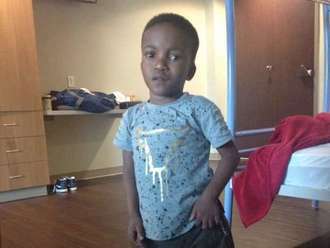 Sebastien will fly to Cayman Islands to receive treatment. On February 2, he will undergo cardiac surgery, during which surgeons will use artificial material to construct a more normal pulmonary artery and valve. Another organization, Have a Heart Cayman, is contributing $24,000 to pay for surgery. Sebastien's family also needs help to fund the costs of surgery prep. The $1,500 bill covers labs, medicines, and checkup and followup appointments. It also supports passport obtainment and the social workers from our medical partner, Haiti Cardiac Alliance, who will accompany Sebastien's family overseas. His mother says, "Our family is very hopeful that our son can be healthy and energetic after this surgery." Ivonne is a child from Kenya. Her mother is a housewife, while her father is a farmer. Ivonne has clubfoot of her left foot. Clubfoot is a condition in which the foot is twisted out of shape. This causes difficulty walking and even wearing shoes. Fortunately, Ivonne traveled to visit our medical partner's care center, AIC Cure International Hospital. There, surgeons will perform clubfoot repair surgery on January 22. Our medical partner, African Mission Healthcare Foundation, is requesting $1,224 to fund Ivonne's clubfoot repair. 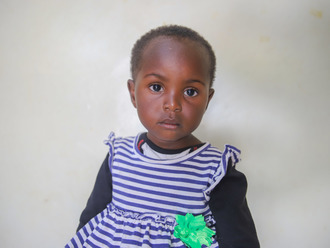 After treatment, she will able to walk and attend school when the time comes. “I will be happy if you help my daughter undergo for surgery. God bless Cure and Watsi," her mother says.